In the arts district of Houston, Texas, there is a chapel that embodies many modern and postmodern attitudes toward art and religion. 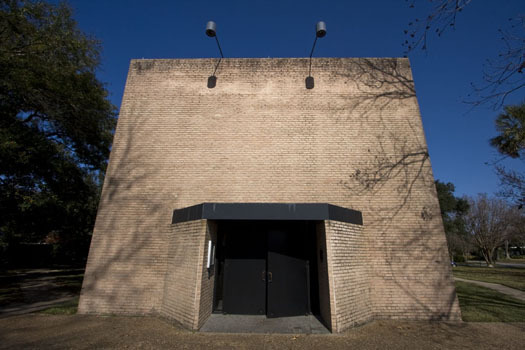 Situated near the University of St. Thomas, the Rothko Chapel is neither exclusively Catholic nor Christian. While it promotes spiritual reflection and social activism, there are no crosses, icons, priests, choirs, or congregations. It features only several dark and somewhat drab murals of the famous American abstract-expressionist painter Mark Rothko. Visitors who come to Rothko Chapel sit and often meditate in front of Rothko’s black canvases hoping for a religious experience. While not my favorite paintings, they are nonetheless mesmerizing. One can easily get lost in the vastness of the murals and enjoy the peaceful coolness of the chapel, especially on a hot summer day in Houston. Aesthetic experiences aside, the chapel itself, which is shaped like a large octagon, is loaded with a number of assumptions about how religion should be done today. Though this desire to be free from indoctrination and bias is sincere, one has to wonder whether the process of stripping away all particular religious symbols and names is helpful. Is it possible to create a universal, postmodern religion that sheds layers of history? If so, what does this new religion look like? What kind of ethics does it prescribe? Who is the God at its center? Despite Rothko’s brilliance, his work for the chapel seems to raise these unanswerable questions. His dark, monochromatic murals have no discernible landscapes, symbols, or story lines. All of paintings are black or dark brown. If they communicate anything, it is that the world is confusing and suffers from a lack of metaphysical revelation. In this uncertain world devoid of light and truth, we are forced to create our own meaning and construct individual religious lives. To be sure, much more could be said about the Rothko Chapel and its religious implications, but I’ll conclude with a few modest points. First, we have a desire for the sacred. People who visit Rothko Chapel hope that the space will inspire and speak Truth to them. They seem to know that secular materialism is a dead end, and they hope for a spiritual experience of some sort. Second, despite this desire, there is a deep, postmodern suspicion about the truth of any one religion. This explains why all the sacred texts in the chapel are on the same bookshelf and why all the paintings are dark and monochromatic. Any hint of privileging one story or religion above another would be a violation of postmodern religious pluralism. As a result, all that can be painted is blackness, and we get lost in the darkness. The Christian story, for what it’s worth, stands in contrast to this last point. 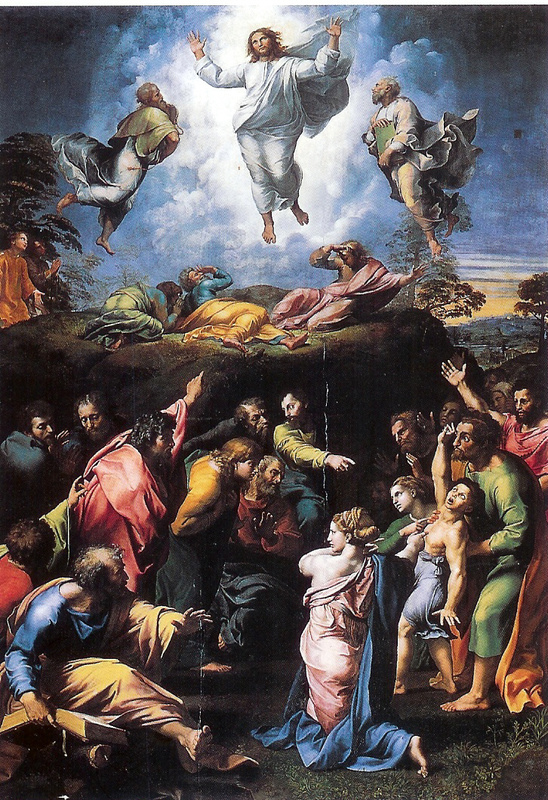 In the Gospel of John, we read about “The true light that gives light to everyone….” The protagonist of John’s gospel, Jesus of Nazareth, later claims, “I am the light of the world. Whoever follows me will never walk in the darkness, but will have the light of life.” These are audacious claims to be investigated seriously, but for me, they help explain the drastic differences between the Rothko Chapel and various Christian chapels around the world. Of course, there is plenty of bad Christian art and architecture, just as there is a definite beauty to the Rothko Chapel. But while the latter is constrained by a worldview which obscures light and denies truth, the Christian alternative proclaims Jesus to be the one who is both.